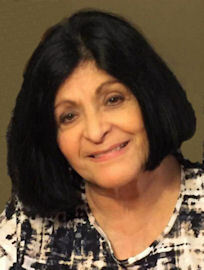 Marie M. Hernandez (nee Sanchez), 77, of Lorain, died unexpectedly on Thursday July 19, 2018 at her home. She was born May 21, 1941 in Puerto Rico and had resided in Lorain most of her life. Marie graduated from Lorain High School in 1959. She loved her children and grandchildren and enjoyed hosting her family at her home for holiday gatherings. She was an avid fan of the Cleveland Indians and Cleveland Cavaliers and enjoyed dancing and crossword puzzles. She is survived by her children: Brenda Morgan (Garth) of Lorain, Cheryl Melekian (John) of Battle Creek, Michigan and Eric Hernandez (Danielle Solazzo) of Tamarac, Florida; grandchildren: Ryan Houk, Brandon Morgan, Alexandria Houk, Jason Hall and Austin Morgan; one great granddaughter; brother Edgar Sanchez Sr (Michele) of Shelby Township, Michigan and nieces and nephews. She was preceded in death by her husband Sergio Hernandez in 2004, parents Angel and Eva Sanchez (nee Melendez) and brother Angel R. Sanchez. Private family funeral services were held. The Rev Paul Heise, deacon of St Anthony of Padua Catholic Church in Lorain, presided. Friendship Animal Protective League, 8303 Murray Ridge Rd, Elyria, OH. 44035.